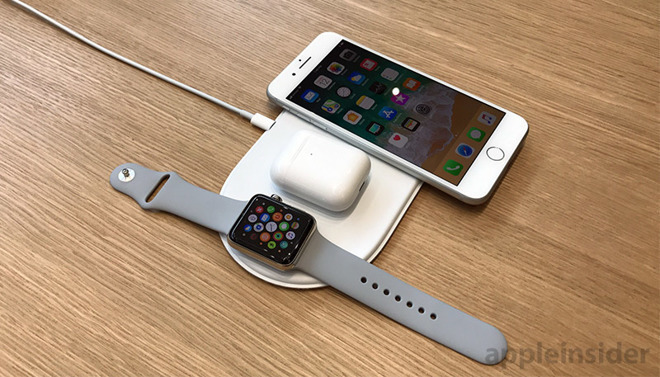 If supply chain reports are to be beieved, Apple may be shifting to a copper Qi coil in the 2018 iPhones, which could improve charging efficiency. Apple's existing ferrite polymer composite (FPC) may be supplanted in one of Apple's 2018 iPhone lineup, according to the China Times on Monday. The publication claims that the move will implement a thicker copper wire coil in at least one model, instead of the FPC to "offset the thermal effects" from a potential wattage increase. Given the same charging wattage, FPC has the advantage of being thinner than a copper coil. Thermodynamics are complex, but given all other factors equal, increasing the wattage of the coil also increases the heat generated in the circuit roughly exponentially with that linear increase in wattage, necessitating a better thermal dissipation solution. The thicker, and homogenous, copper coil could provide that solution. However, Apple may not be willing to make the iPhone itself thicker to accommodate the copper coil, so the report should be taken with a grain of salt. It also isn't clear which solution is less expensive to implement. At present, Apple allows the iPhone 8 family and the iPhone 10 to charge at 7.5W. The Qi spec currently allows for a 15W charge.